A few years ago I spent a summer traveling Europe and one of my favorite places was Greece. I especially loved the light bright freshness of the cuisine. This recipe is my version of the classic greek salad and an oregano marinated grilled chicken. Combine all ingredients starting with lemon zest, stir to combine add chicken and let marinate for 45 mins. For best flavor cook on the BBQ or use a grill pan and cook in batches. Combine first seven ingredients then whisk in olive oil until combined, salt & pepper to taste. Toss salad in dressing and serve with chicken and tzatziki on the side. Also great with toasted pita bread and hummus. Leftover chicken is great as a pita sandwich the next day! 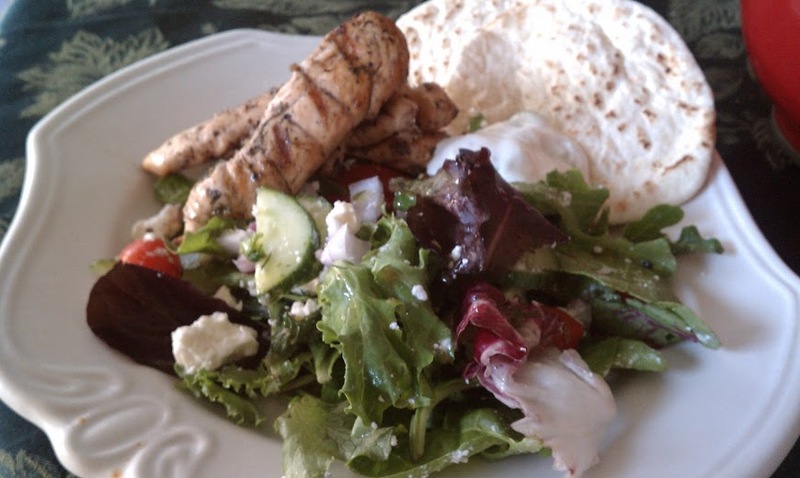 Posted on June 12, 2013 by elizabethloomis	• This entry was tagged greece, greek salad, grilled chicken, tzatziki. Bookmark the permalink.